When you buy a used car it can be a frustrating experience with many people feeling helpless and frustrated with no clear direction to go in. Buying a used car in a private sale will take a great deal of time but by reading into the content of the used car ad you can get a good idea as to the mentality of the seller and potentially the condition of the car as well. Ads that are very descriptive, including pictures, and detail the vitals about the car, its previous history, as well as the past and current mechanical condition are best. By providing detailed information about the car you are more easily able to determine if the car is a potential candidate for a good deal and worth taking the time to arrange an in person inspection with the seller. You could literally spend a lifetime looking at overpriced and unreliable cars when searching for a good deal. Avoid wasting time by skipping poorly written car ads. Ads that include less information than this are a time waster. If you are very interested in the car, or you suspect that the car might be a good deal despite the lack of information available in the ad, you can elect to pursue the car further by contacting the seller via email or telephone. The only real downside of chasing the seller around for more information is that you can easily find a never ending supply of used cars for sale with non descriptive ads. You are better advised to spend your time pursuing the used cars for sale in which the current owner has made a concerted effort to provide you with the pertinent details about the car already. Used car ads that have some information but lack certain critical information like the amount of mileage the car has are likely a waste of time also. Any person who posts an ad for a used car without the mileage of the vehicle is either trying to hide something or is simply not serious about selling the car. The vehicle mileage is one, if not the most important feature of a used car and should be included in every used car ad. A great all around car with very low mileage is worth a lot of money. A great all around car with very high mileage is basically worth nothing. In almost every case where a somewhat descriptive ad for a used car exists where they do not specify mileage you will find that the car has high mileage. This is especially true with used cars being sold by dealerships as they specialize in promoting the good aspects of the car while neglecting to mention the negative aspects of the car. Local classified newspaper ads are a great location to begin your search for a used car. Most small and local publications will have the classified section available online in addition to being in print, however many of these local publications charge for placing ads. This can help to eliminate some of the less serious sellers from testing the waters with an asking price well above the actual value of the car. If you are going to shop from free online classified ads for a used car you will need to become very discerning about which vehicles you pursue to avoid wasting your time. Shopping from local paid classifieds that are listed online will be the best of both worlds as they are quick and easy to navigate while discouraging to sellers not motivated to sell their car. The most popular location for used car ads is currently available online. Just ten years ago local newspapers and simply “driving around” were the best ways to shop for used cars. Now you can find hundreds of used car ads every day on online resources and classified websites like craigslist, kijiji and various buy / sell publications. Any person who has ever sifted through the craigslist used car section knows just how much garbage is floating around on the internet. Since you can post an ad for completely free in seconds from the comfort of your own home there are many cars for sale which are well overpriced. Additionally to the convenience of these selling mediums, the fact that the ads are free encourages people to post cars for sale when they are really only testing the waters so to speak. Free online classified car ads can be a waste of time. If you had to pay to post an ad to sell your car you would probably take more time to write the ad and determine the actual value of the car before trying to sell it. For this reason, and more, online classifieds require additional scrutiny over more traditional methods of used car shopping. The best used deals come from motivated sellers so try to locate used car classifieds which require payment in order to place an ad. This alone will weed out the vast majority of overpriced cars being sold half heartedly by people. This will allow you to dial in on the cars which are being sold by eager sellers who are willing to part with a little money if it helps facilitate the vehicle being gone. If you can find a seller that really needs to be rid of their old car, the likelihood of getting a good deal dramatically increases. It is not uncommon to buy a car from someone who has already bought a new car. These used car sellers are especially susceptible to low-ball offers to take the car off their hands. 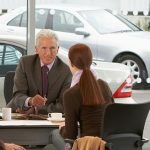 By contacting sellers who appear to be in a hurry to sell their used car you can increase your chances of finding someone who will take a low offer. When you call a seller you are evaluating them not just the car. In addition to the ad itself, you can learn a great deal about a used car by speaking with the person selling the car. It takes absolutely no technical skill to be able to evaluate the motivations of a person selling a used car, however this is one of the most important things that you can do increase the likelihood of finding a good deal on a used car while mitigating the risk of buying a lemon. You can tell how eager someone is to sell their used car by simply asking them if they are open to offers. The ideal situation is to have the seller reveal that they will accept offers as they need to get rid of the car quickly.